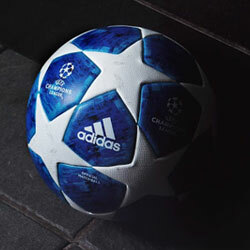 The best league in the world is finally back. We’re taking a closer look at the kits we can expect to see throughout the title race. Sound the klaxons and start the parade- because the English Premier League is finally back. Yes, that’s right, it’s the news we’ve all been waiting for, and it’s safe to say we’re just a little excited about the new season here at FOOTY.COM. No longer do we have to wander about like lost sheep on a Saturday afternoon, as we’ve already dedicated that 3pm slot to 90 minutes of drama, tears and (hopefully) unrivalled levels of joy. Although we’re excited about the introduction of new teams, players and rules this year, what’s really getting our tails wagging is the thought of all the new kits finally being thrown into action. Over the opening weekend, we’ll be treated to a grand-spanking total of 20 Premier League kits being debuted across the country - and we simply can’t wait. This year Nike have placed a huge emphasis on creating football kits that pay tribute to each club’s rich history, and their design for the reigning Premier League Champions is no exception. Amidst the famous dark blue of the Chelsea home strip, you’ll probably notice the “EST.1905” text on the left sleeve, while the design of the shirt itself was based on those worn in the 1970’s. 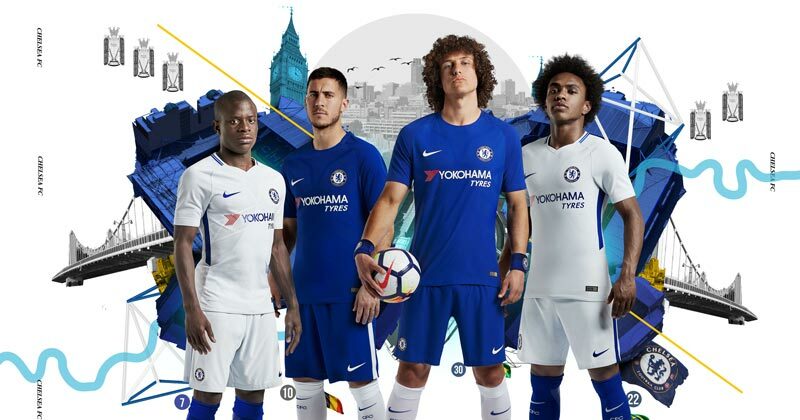 As Premier League Champions and previous winners of every other major honour going, Chelsea fans can always be proud of the clubs history, so this new Nike design should be right up their street. 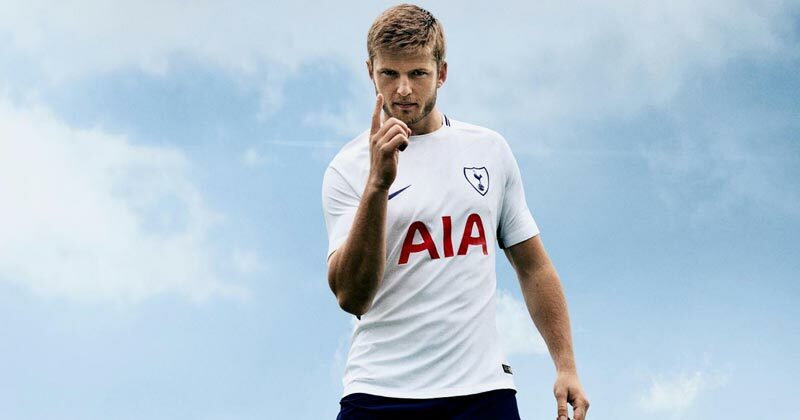 There are some doubts over Tottenham’s ability to maintain their top 4 place this season, but one thing that’s for certain is their new home kit is looking very sharp indeed. Another one of Nike’s incredible designs, this beautiful, simple white strip does all it can to honour the club’s history. For this season only, the famous Tottenham badge finds itself surrounded by a shield, which is a reminder of Spurs’ historic 1960/61 campaign. The Tottenham away kit also salutes the past, after Nike provided the club with both strips for the first time. Another simplistic design, the gorgeous navy blue colour certainly catches the eye. There’s a blue moon rising. Confidence is high in the Citizens camp following the introduction of some top quality players and, of course, the fact that Pep Guardiola is still at the helm. 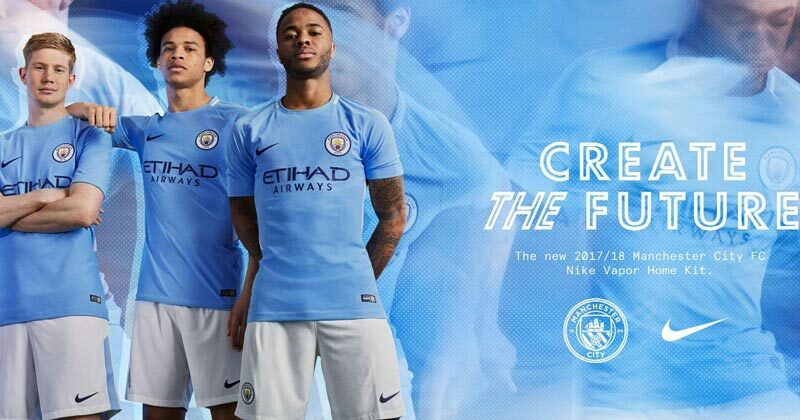 But it’s not all about the exciting future at Manchester City, because their new Nike kit pays special homage to the 1967/68 season of the past. City won the league that year, and they’re largely fancied by pundits to mirror that success this season. With a classic sky blue home strip and a stunning claret away kit, we believe that these Nike efforts could go down in history at the Etihad- if their new signings fulfil their potential. It’s been all about Philippe Coutinho at Liverpool this summer, but fans shouldn’t ignore the fact they’ve also released a stunning new kit. 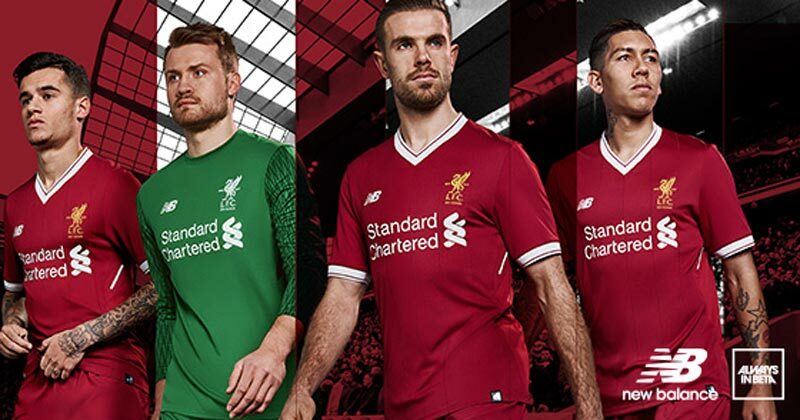 Made by New Balance, the new home strip actually made its debut at the end of last season as Liverpool clinched a top four position at Anfield, but we still can’t wait to see it in action again this weekend. 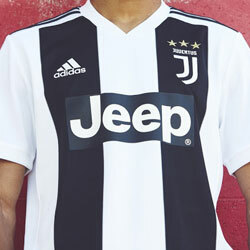 The new away kit is unlike anything the club has released before, with a unique design and colour combination, New Balance have taken a step away from the usual black or white away strip. Following a promising pre-season campaign and victory in the Community Shield last weekend, Arsenal will be hoping to enjoy a much better season this time around. 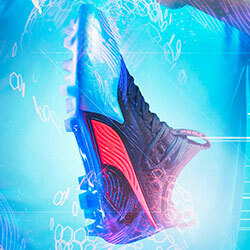 Sporting a slightly darker home kit, this stylish Puma effort has certainly got Gunners’ fans drooling at the mouth. But what’s really got fans excited this year is the step away from the traditional yellow away strip, as this time out Puma have introduced a gorgeous blue design which is much more appealing. Arsenal supporters have a tough choice to go for this year- which of these kits do they go for? Following a disappointing Premier League season, Manchester United will be looking to kick on and mount a serious title challenge this season. If they do finally make a comeback and lift the Premier League trophy in May, they’ll be doing so in yet another magnificent Adidas strip. 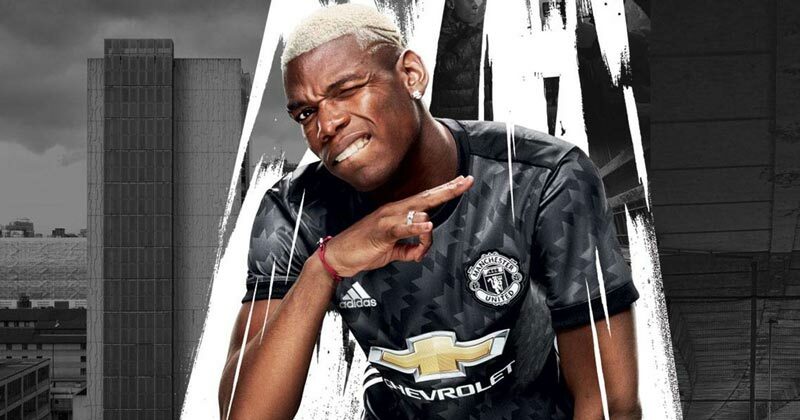 With traditional, old-school collar-buttons combined with cutting-edge engineering and technology, the new kit provides the Red Devils with the best of both worlds. The black away strip is designed to give a nod back to the early 90’s, due to the black fleck style mirroring the strip worn in the 1992 League Cup Final. 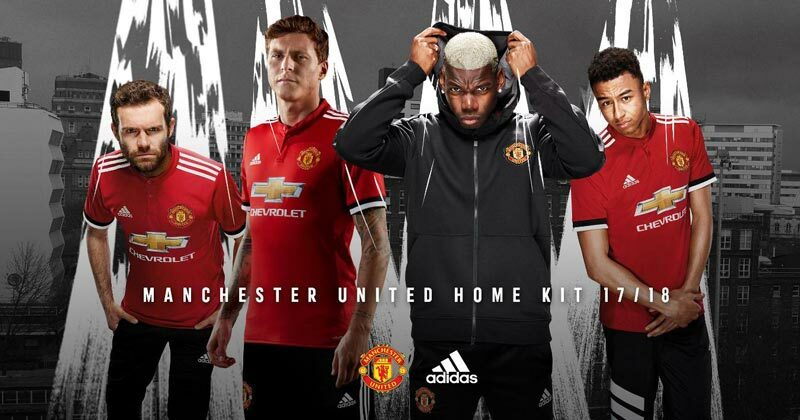 That particular strip was worn by some real United legends, and Mourinho will be hoping members of his squad can step up to replicate their achievements this year. It’s a huge football season for all of the top six sides this season, especially with teams such as Everton and West Ham looking as though they might just break up their dominancy. The question is: who do you think will finish top of the pile? 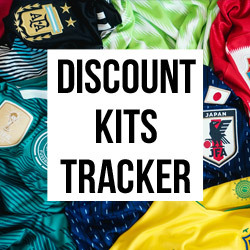 If you’re looking to get your hands on your club’s latest shirt, you’ll be pleased to know that FOOTY.COM finds you the cheapest deals for online football kits. 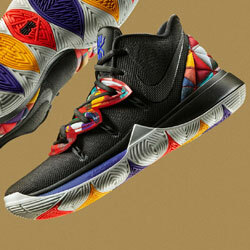 Take a look today so that you can kick-off the season in style! Without question, these stunning football kits are going to take some topping this summer. We’ve been keeping an eye on the fortunes of the Premier League’s top players at this year's World Cup.